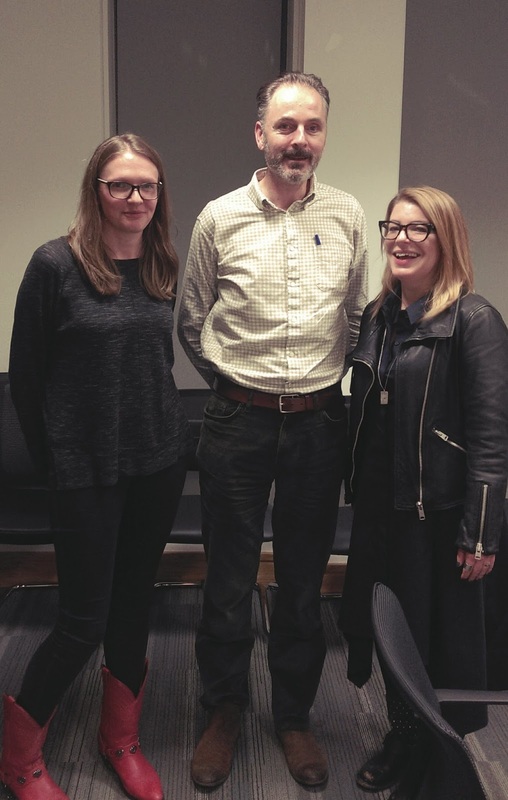 Last week Jill McCorkel joined us to talk about her new research on prison privatisation in the US, specifically the growth of privatised drug treatment. Jill is Associate Professor of Criminology and Sociology at Villanova University in Philadelphia, and has just finished up a research period as Visiting Scholar in the Sutherland School of Law at UCD. Previously, Jill has published on the impact of the War on Drugs on women's imprisonment in the US. Her 2013 book from NYU Press, Breaking Women: Gender, Race and the New Politics of Imprisonment, details her extensive ethnographic research in this area. More recently, Jill has been examining the increase of privatised carceral drug treatment, and she has explored how companies 'sold' treatment and rehabilitation to states that were determinedly 'get tough'. We discussed Jill forthcoming articles on this topic, including 'The Second Coming' (2018, Contemporary Drug Problems) and 'Banking on Rehab' (2018, Studies in Law, Politics and Society). Lynsey Black, Ian O'Donnell & Jill McCorkel at The DA! Jill spoke about her research on prison privatisation, arguing that for most people this term translates easily to 'private prisons', however this meaning has neglected the increasing privatisation of services within the prison setting. Jill argued that the provision of correctional and prisons-related services was an incredibly lucrative venture, netting billion dollar profits for correctional companies, and a revenue stream that avoided many of the risks that building and operating an entire prison entailed. While companies such as CoreCivic and others faced significant pressures to make profits, especially after lawsuits and escapes, providing services such as carceral drug treatment carried less risk as well as an opportunity to maximise profits. Jill's research demonstrates how specific models and definitions of addiction could be utilised to increase potential profits. She cited a particular focus on a traditional 'disease-oriented' conception of addiction as situated at the level of the self, without consideration of an individual's circumstances. Under this paradigm, the recidivism of drug-using offenders was not 'failure', rather it merely demonstrated the accuracy of the original diagnosis. Jill's research also offered insight into how gendered and racial hierarchies and conceptions of 'dangerousness' were mobilised by correctional companies. Citing Sarah Haley's exploration of gender and Jim Crow, No Mercy Here, as an historical precursor, Jill noted that African American women prisoners were constructed under a familiar racist trope of Black women as 'less feminine' than White women. Jill argued that drug treatment was sold as an appropriate service for male prisoners based on a very misleading argument that it had been successful with African American women. Jill's research takes a close look at an under-explored facet of prison privatisation in the US - arguing for a more expansive approach to how we understand 'privatisation'. Her recent articles on this topic, a trio of pieces which examine what this means for mass imprisonment in the US and the future of punishment in the US, are essential reading for any scholar of punishment.